Students of MCA of Desh Bhagat Institute of Management & Computer Sciences have brought glory to the institution by winning two out of the top five positions in the Examination held in May 2015 conducted by Punjabi University, Patiala. 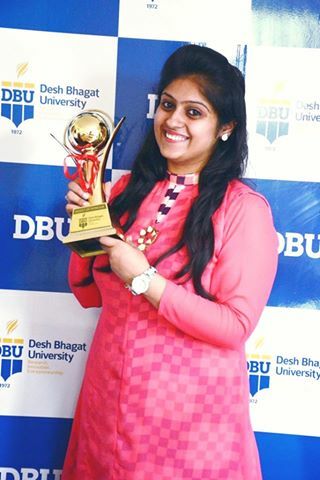 Damanpreet Kaur , a student of MCA (Master of Computer Applications) Semester - 6th of Desh BhagatInstitute of Management & Computer Sciences has stood First in the Merit list by securing 2956/3400 marks in the examination. 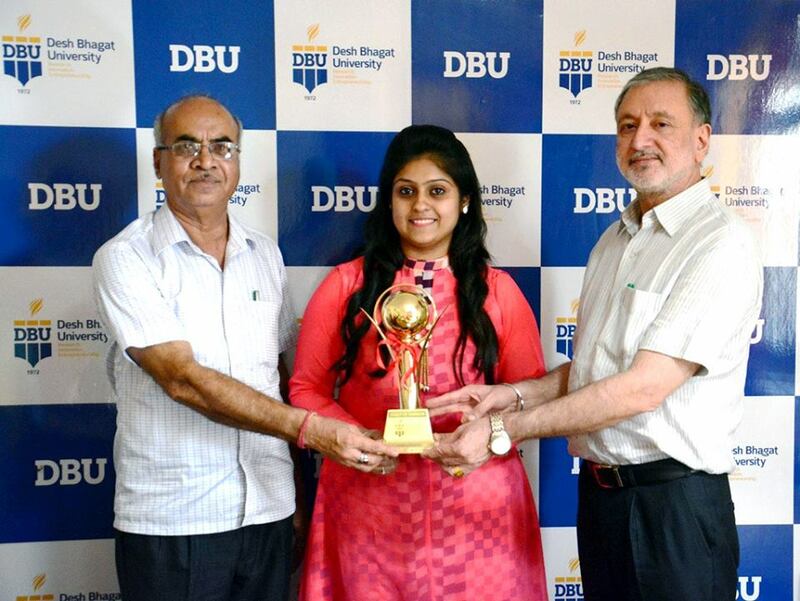 While congratulating and honouring the meritorious student with a memento, Chairman Desh Bhagat United and Chancellor Desh Bhagat University Dr. Zora Singh disclosed that Damanpreet Kaur has brought glory to the institution by topping in the university securing 86.94% marks. Another student Manpreet Kaur also got place in the meritorious category. She stood fifth in the Merit List by securing 2920/3400 marks and we are proud on them, he added. While congratulating both the students on their achievement, Vice Chairperson Desh Bhagat United Ms. Tajinder Kaur and Vice Chancellor Dr. Virinder Singh said that it is the result of her hard work and the able guidance given by their teachers. They also congratulated the entire staff for their dedication and commitment to duty. The student, Damanpreet Kaur who was in a jubilant mood gives the complete credit for her glorious success to her highly committed teachers, state-of-the-art infrastructure and congenial academic atmosphere in the institute. It's worth mentioning that Damanpreet Kaur had topped in her class during the last five Semesters also. She has also been taking an active part in different academic and co-curricular activities undertaken in the institute from time to time.